Pro tip. LEARN THE GAME. In the game there are every ship has different abilites, like the US light cruisers are able to shoot over even high islands! Also a spotting aircraft can make the aim over island realy easy. You should check the replays and in free camera the position of the enemy ship, then if you have the same ship you even can try out how he do it. But man, just report someone and call it cheater because you don't even know how the game works is not fair. I grinded my Taiho to keep it, I also want my Hiryu. 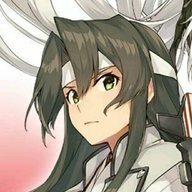 Taiho is a historical carrier while Hakuryuu not. I can accept if you remove them for a short time and later they return. But I realy realy hope I will get them both when they return and not need to grind more xp, free xp, coal or doubloon on them when I grinded for them already. Everyone should calm down, they wrote: 12:00 UTC!!! That means here in CET that's UTC+1we have 12:40 so in UTC it's just 11:40. Or if it's still summer time zone (I can't remember), then it's CEST which is UTC+2 so in UTC it'S 10:40. Well, I don't have T9-10 DD only Cruiser and BB.... But.... Now I did the base reset.... With 15 Ribbon...... Only use AP... on a BB and 2 DD no fire, and I get the resets.....Now all I need is the final task... But it's still a joke when my own fire block the base reset ribbon, so WG should do some fix on it if they want players use the good Ammo on every ship and change HE and AP more..
Yeah, I wait, what do you think how I collect 9-10 but then ship set on fire, and not a single?!?!?!? So I just try to do the 12 Deffender Ribbon in ONE battle with a T9-10 cruiser Task of Yamamoto campaign.... And I found an interesting but annoying problem. If I shoot HE on BBs they sometimes set fire BUT, when I collect deffender ribbons and the BB capture the base, no friendly ship in the base, no other ship shoot him etc, all what happen is my HE shells set him fire. The problem is, during the fire, as I see the enemy still can capture, but no matter how many times I shoot him again, I never get a new Deffender Ribbon on it. Still no friendly ship in the base who stop capping (I evade the base too). So I just shoot the ship shoot shoot but not get a single ribbon........... Too annoying cause it's not the first or second battle where I lose the task with 8, 9, 10 and even 11 ribbon because it. But the fire not stop the capture and I didn't get a ribbon for the fire dmg. It would be a great gift if a patch solve this problem somehow I think, so I started this topic if anyone noticed this problem too. It's not a new bug, I saw it since 6.09 patch. Visual bugs on many ship texture, I saw them on many ships. I have 2 screenshot about the problem. But I saw them on russian destroyers, nearly "invisible" Zao, Roon without "nose", etc. I hope the late is only because they still not fixed the Kirishima/Iona voice bug.